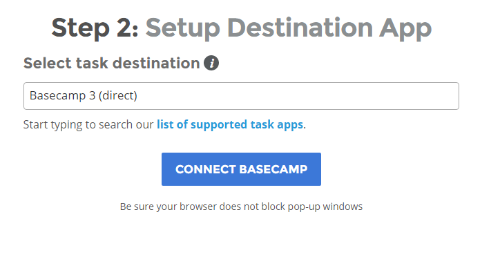 TaskClone's Basecamp 3 integration takes about 2 minutes to set up and then never look back. Note: To speed setup, open your Evernote, Email and Basecamp accounts in your browser. Click the "Verify Email" link we send to your email when you signup. Click your source app (i.e. Evernote). 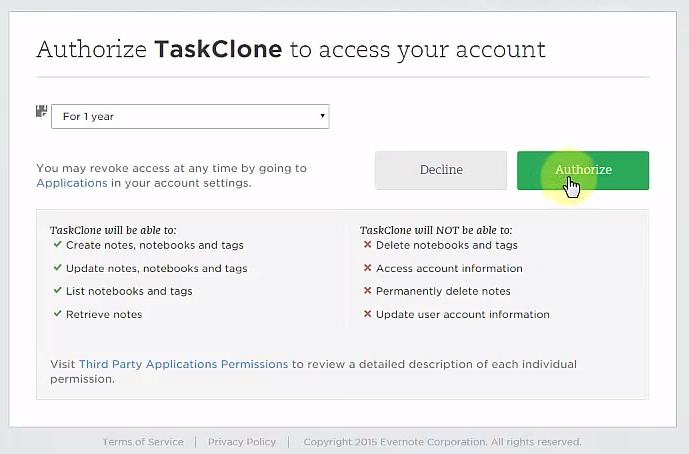 Authorize TaskClone to access your Evernote account. Click the "Connect" button that appears. 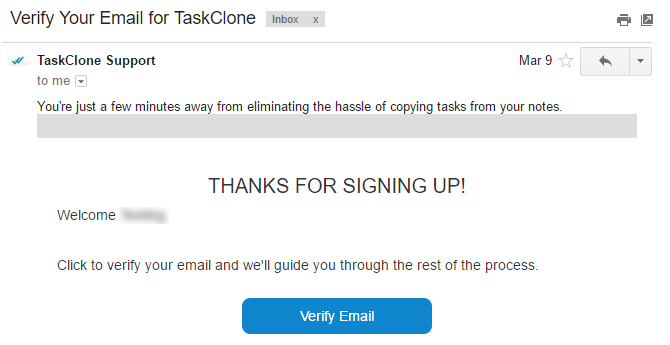 You will be prompted to authorize TaskClone to connect to your Wunderlist account. Be sure pop-up windows are enabled so you see the authorization window. Once authorized, click in the field to select which Basecamp 3 account your todo list is in. 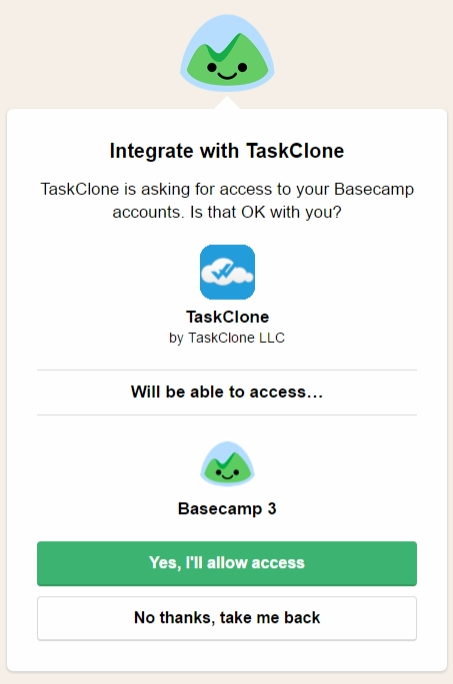 Note: Most clients only have one Basecamp 3 account. Select the Basecamp where your desired to-do list is stored. Select the to-do list where TaskClone will send your tasks. Once setup, be sure to follow the simple steps to clone tasks.